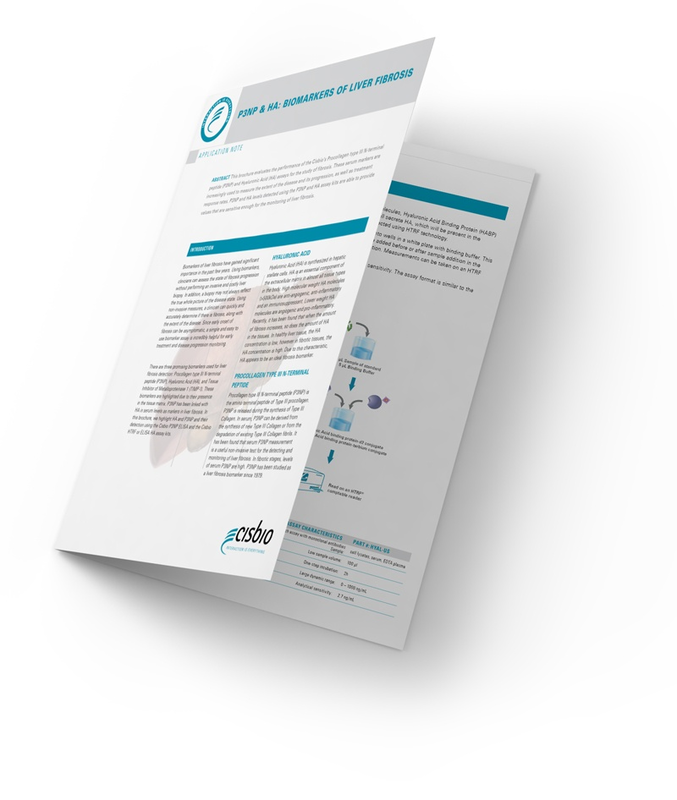 In this brochure, you will find information on P3NP and HA as biomarker targets. You will also see how Cisbio's HTRF assay can easily detect thes targets and help you get results faster and easier. Get you borchure today!